What Are Some of the Greatest Breakthroughs in Neurology of the Last 10 Years? I look at the therapies for people living with multiple sclerosis (MS) and the disease-modification effects that those therapies have had as some of the greatest advances because they modify the course of the disease rather than treating peoples’ symptoms. That’s not to say that symptomatic treatments are not valuable and important, just that the ability to change the course of a disease is a different kind of breakthrough and often very meaningful to patients and their families, as well as the neurology community as a whole. There have been great advances in treatments for persons with MS, an unpredictable and devastating disease and there are now orally active treatments available that can prevent relapses and reduce disability. Similarly, there is finally a new class of drugs that blocks a novel target, calcitonin gene-related peptide (CGRP), an exciting new approach to prevent migraine headaches and hopefully treat many patients who continue to suffer from this disabling form of headache. Drug development in the areas of stroke, epilepsy and MS have been of great value to patients in the last decade. The new orally active anticoagulants that prevent stroke in patients with atrial fibrillation have allowed for much easier treatment without frequent blood tests and with fewer complications compared to the older anticoagulants. We have seen great advances in neurologic treatments driven by a better understanding of the biological pathways that underlie disease symptoms and progression. Among these are immunomodulation for persons with MS, basal ganglia circuitry reregulation and diurnal glutamate pathway modulation for persons with Parkinson’s disease (PD), and selective VMAT2 inhibition for those with tardive dyskinesia. All of these are based, in part, on a more in-depth understanding of the disease pathogenesis, which has or soon could lead to the development of treatments that have a substantial impact on how people feel, function and progress with their disease. The biological basis of many neurologic diseases remains elusive, but we are making real progress every day. One advance that stands out from the last 10 years is the discovery that B cells, a type of immune system cell, play a central role in MS. The scientific community was so rooted in its T-cell treatment approach that there was very little appetite to consider other putative therapeutic targets in MS. However, by following the science and dedicating our efforts to areas of great unmet medical need, Roche and Genentech developed the first treatment targeted towards B cells for MS, Ocrevus (ocrelizumab). This approach enabled us to slow disability progression in people with the most disabling form of MS—primary progressive MS—for the first time. Our knowledge of human genetics and disease biology offer hope every day that new treatments can be developed for persons with neurologic diseases, as we can see from the number of new therapies being approved to treat people with rare monogenic disorders. At the same time, new therapeutic modalities have become increasingly available that allow targeting of these genetic diseases. So today, beyond having more traditional chemical small molecules and biologic large molecules (ie, antibodies), new approaches like RNA targeting, antisense oligonucleotides, and gene therapies are becoming reality. A great example from Roche and Genentech is the work we’re doing in rare neurologic disorders like spinal muscular atrophy (SMA), and Huntington’s disease (HD), where we’re developing gene-targeting therapies that stand a real chance of becoming transformational medicines for these patients. Looking at notable breakthroughs in neurologic treatment during the last decade, I think it’s important to highlight the potential of monoclonal antibodies (MAbs) as a disease-modifying therapy (DMT) for people with MS. Both cytolytic and inhibiting MAbs (eg, natalizumab, alemtuzumab, and ocrelizumab) hold promise to be disease modifying and change the course of the disease in the long term. There are also data that continue to support the long-term efficacy of the first generation DMTs (ie, interferons and glatiramer acetate) that have been studied for over 20 years. The DMT approach for patients with relapsing-remitting MS is also beginning to translate into treatments for patients with progressive forms of the disease, with positive data emerging for a select few DMTs. 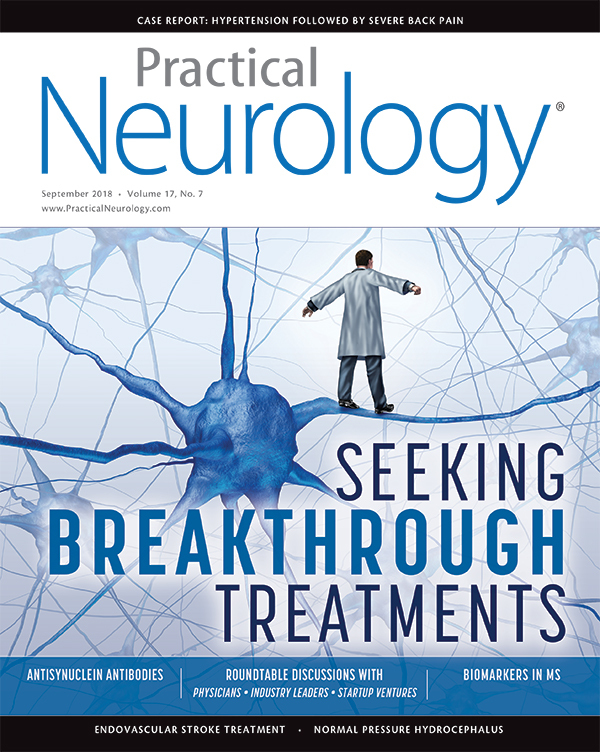 Other areas of exciting breakthroughs in neurologic therapeutics include the rapidly evolving bench-to bedside development of anti-alpha-synuclein for patients with PD and the truly transformational approaches afforded by gene therapy, including RNAi and CRISPR gene-editing technologies with initial applications in patients with SMA and promising early results for persons with HD and other genetic diseases. The utility of MAbs to amyloid-β (Aβ) for treating people with Alzheimer’s disease (AD) is still to be determined. Recent advances in a couple of the new generation MAbs to Aβ appear promising. From a symptomatic treatment standpoint in MS, we broke new ground through our development of Sativex (nabiximols) as a novel cannabinoid treatment for patients with moderate to severe spasticity due to MS. Sativex has been approved as a treatment in over 30 countries and has become an important tool in the armamentarium for treating spasticity in people with MS. In the field of epilepsy, the recent FDA approval of Epidiolex (cannabidiol [CBD])—the first prescription pharmaceutical formulation of a highly-purified, plant-derived CBD—is poised to change the treatment paradigm for rare forms of early childhood-onset epilepsy and has the potential to open up a new class of antiepileptic drugs (AEDs). Overall, both Sativex and Epidiolex are validation of the therapeutic value of cannabinoid science and what it offers for the development of novel medicines that will meet unmet needs across a range of neurologic and behavioral disorders. What Will Drive More Advances Over the Next 20 Years? Keeping with the concept of disease modification, think of cancer and immuno-oncology, where there have been big advances, such as the PD1 inhibitors, that changed treatment paradigms. I believe that immunodementia therapies will have a similar impact because those chronic diseases are associated with inflammation and treating that may modify the disease. I also think we need to use what we’ve learned from other fields like oncology to advance treatments in neurology, for example, use combination therapy, which has been successful in oncologic treatment. We need to put patients at the heart of everything we do—from discovery to development to delivery—so that advances are designed around patient needs and their journeys with the goal of enabling them to achieve their best, whatever that is for them. This is our focus at UCB—it’s about understanding what patients value and then working to get to the solution. In epilepsy, we’re focused on a few key areas: unlocking the match to help patients find the right treatment faster, bridging the gap, and partnering for ideal approaches. The common theme that links all our research and development is personalized medicine. We’re combining pharmaceuticals, devices, diagnostics, and digital technology in new ways to address seizure challenges in the context of what individuals need for their lives and aspirations. In cities across the US, we’re using big data with insurers and health systems to better understand patient groups who are at risk for seizures or missing important components of their seizure care. We’re looking at how we can use the information collected from wearable devices to better monitor and understand seizures and optimize individual treatment. We’re exploring microscopic digital technology that we can add to tablets to help physicians understand how patients are using medicine. Not every one of these will affect every patient, but by endeavoring to understand the unique challenges of each patient, we have a better chance of helping individuals find the right answer for them, when they need it. We also introduced a new integrated go-to-market strategy to help deliver neurology treatments into the hands of patients that need them as fast as possible. We’re reimagining how we engage with providers and patients to better understand their needs and adapt fast to meet those needs. In the evolving healthcare landscape, we’re organizing our approach to focus on the unique aspects of different geographic ecosystems so that we can be agile in delivering patient value. More advances can be driven by continuing to listen and learn from patients about their experiences with progressive neurologic diseases. This will further our understanding of disease pathways, and their role in function and pathogenesis. I believe this focus will help us make the most immediate impact for patients. The complexities of the central nervous system (CNS) overall results in neurologic research moving at a slower pace compared to some other disease states. Yet it is this complexity and the continuing unmet therapeutic needs that fuel SK life science’s commitment to unlocking the mysteries of the brain to find novel solutions in the CNS space, particularly epilepsy. Even though as many as 3.4 million people live with epilepsy in the US, no revolutionary epilepsy treatments have been discovered in many years, and seizure freedom remains unattainable for many people with epilepsy. According to a Centers for Disease Control and Prevention (CDC) survey published in April 2018, only 44 percent of respondents with active epilepsy on epilepsy medication were seizure-free in the past year. We are hoping to see more novel small molecules move forward, which may produce higher degrees of seizure freedom such as SK life science’s investigational treatment of partial onset seizures, cenobamate (YKP-3089). SK life science recognizes the critical unmet need in the CNS community and we are committed to working tirelessly in search of solutions for this patient population. These patients drive our steady commitment to seeking new treatments and have inspired our development of the compounds in our pipeline, including early-stage treatment candidates for epilepsy, attention deficit hyperactivity disorder, PD and cognitive impairment associated with schizophrenia. While advances have been made with small molecule therapies and a few targeted therapies, as an industry, it’s very important that we continue molecular-level investigations of disease mechanisms and further pursue understanding of genetic mechanisms of disease and genomics-based therapeutic approaches that will lead to additional targeted medicines. One area where I feel a lot of progress needs to happen is broadly on how we evaluate behavior (eg, motor or sensory skills, cognition, or social behavior) in a more quantitative and high-density way, and how that can translate into better clinical endpoints that allow faster, smaller, more efficient studies. Another area where we can aim for transformational change is on how we diagnose diseases, aiming not only for earlier diagnosis, but also to reduce heterogeneity in common sporadic diseases. Roche and Genentech are continuing to explore new types of clinical trial endpoints, precision disease monitoring and using real-world data studies to accelerate our research. These new approaches to research may enable us to create new clinical tools to study the health and integrity of the nervous system and diagnose and track the progress of neurologic diseases earlier. This includes our efforts around new digital tools that can help develop better endpoints. Disease-modifying therapy for people with AD remains a major unmet need and a public health imperative, and so far, we’re still waiting for a breakthrough. Nonetheless, there have been advances in the last 10 years in understanding the evolution of disease at early stages and in our ability to diagnose disease through advanced PET imaging and cerebral spinal fluid assays. Roche and Genentech have developed state-of-the art diagnostic tools to evaluate amyloid and tau, 2 key markers of the disease. These continuous advancements increase confidence in our ability to successfully develop disease-modifying therapy for persons with AD, as reflected in Roche’s comprehensive research program in this area with 3 distinct molecules in phase 2 and 3 of development. I am excited about the growing integration of technology and data science in medical research, which is allowing us to be more efficient and streamlined in drug development. As an example, Roche and Genentech are working to use digital endpoints and biomarkers to track clinically relevant information and collect objective data that give us a precise picture of how patients are responding to our treatments during clinical trials. 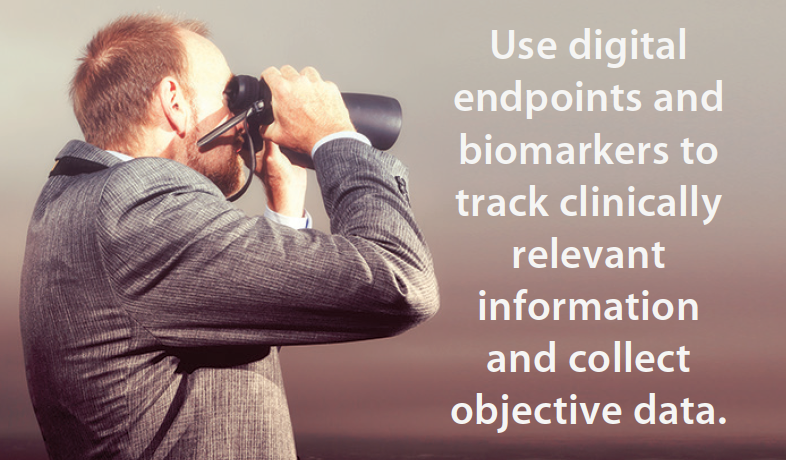 Digital biomarkers have great potential to improve precision in assessing neurologic outcomes, streamline clinical research, and, in the future, enhance clinical decision making to enable personalized care. Finally, delivering therapies, especially large molecule biologics, or RNA targeting therapies, to targets within the CNS has been a perennial challenge to drug development for CNS diseases. Scientific innovations in delivering therapies to targets will have transformative potential to address a broad range of debilitating conditions. We are looking at a number of potential solutions for this problem, including things like delivery devices (eg, ports) to new technologies like the Brain Shuttle, where we’ve shown we can increase CNS exposure to antibodies by up to 50 fold (published in Neuron in 2011). What Potential Breakthroughs Are Most Exciting Right Now? After 20 years of dedicated research studying more than 100 cannabinoid molecules, we believe that the future is bright for the development of drug candidates derived from the cannabis plant across a broad range of neurologic diseases. We see great potential in the therapeutic value of cannabinoids in treating behavioral and cognitive presentations in children with autism and related neurodevelopmental genetic conditions like Rett Syndrome. Cannabinoids also offer potential therapeutic value as CNS-active agents and for adult psychiatric disorders such as schizophrenia, a disease that remains inadequately treated with current therapies. Earlier this year, UCB acquired late stage candidate midazolam nasal spray (USL261), a nasally administered investigational midazolam formulation intended as a rescue treatment foracute repetitive seizures (ARS) in patients with epilepsy, specifically designed for intranasal delivery without active inhalation. It has been granted orphan drug designation and fast track designation by the FDA, the latter reflecting the significant unmet need which currently exists for ARS rescue treatment. Our goal is to ensure that there is an answer for every patient that will help them live at their ideal, regardless of where they are in their life journey. Within our pipeline, I’m particularly excited about studying patients with highly drug-resistant epilepsy. An ongoing phase 2b study is looking at patients whose seizures have been inadequately controlled on at least 4 other treatments, meaning treatment options are limited. Results are anticipated in the first half of 2020. Another area I think could be a game changer over the long term is use of data, machine learning, and artificial intelligence in care management. One program we are working on is eliprio, part of our solution accelerator collaboration with Georgia Tech. Eliprio will apply machine and deep-learning principles to health data, genetic testing, behavioral data, EEG and imaging outputs, and payer claims to create what are termed data stacks where we look for patterns and connections within and between previously unrelated inputs. This team is already redefining our thoughts about the taxonomy of seizure disorders and providing new insights into refractory disease. I love following the advances coming from electrical and electromagnetic stimulation of biological systems. Our brains are computers and the proteins, chemicals, and diurnal changes thereto result in field changes that may be more manipulatable than we thought. I am excited about our rapidly advancing pipeline in AD. This is one of the greatest public health challenges facing society today, and Roche and Genentech are committed to the development of diagnostic tools and investigational medicines that could make a profound impact on the lives of people affected by this devastating disease. Our research includes multiple targets and mechanisms of action that may be implicated in the underlying biology of the disease, including Aβ and tau. Our work in rare neurologic disorders is very exciting, such as SMA or HD, where we have targeted therapies in late stage development. We’re continuing to keep our eye on other diseases that have historically been extremely hard to treat. And I believe that a revolution is starting around gene-targeting medicines, which could potentially transform how we treat a large variety of rare and perhaps even common neurologic disorders. Finally, we’re starting to look at neurodevelopmental disorders like autism spectrum disorders (ASD) and develop therapies to treat the core symptoms of social and communication deficits. We continue to investigate therapies aimed at reducing disease burden, preventing disability or recovering function for people with neurologic conditions. For example, for persons with MS, current treatments offer the ability to delay damage from the disease, but looking forward, molecules that promote remyelination offer the potential to reverse the damage, which could further reduce the disease’s devastating impact. I am excited by the idea that we may, one day, be able to address some of these conditions at a deep biological level. We here at Eisai have a couple of things that will be looked back on as therapies that changed the way we look at certain diseases at treat them. One of these is an investigational sleep-wake regulation agent, lemborexant, which is a dual orexin-receptor antagonist with very unique features, especially in comparison to existing drugs where we’ve completed head-to-head comparisons. This is because sleep is one of the most underrated functional issues for people in terms of them getting the most out of life and to look at sleep as a key treatment area will be significant. Another exciting potential breakthrough is DMTs for AD, which will improve the lives of patients and their families significantly, and we expect these to be some of the next breakthroughs. Drugs that treat epileptogenesis or prevent epilepsy after brain trauma could be considered the next breakthrough in the way we treat those living with epilepsy. We are concentrating on the big disease categories, but there are also orphan drugs on the verge of making strides in DMT. Because by the time we diagnose PD, so much cell death has occurred, this is an area where we have lagged a little behind in developing DMTs. What Are Unique Elements of Your Approach and Thought Process for Developing Treatments? No other company is doing what Adamas does in the CNS, which is to take a time-dependent biology approach to understanding disease patterns, drug discovery, and development. With this approach we aim to create clinically differentiated medicines that have a more significant and durable effect, without compromising tolerability, in treatments for people with chronic neurologic disorders. Rather than look for a key molecule and then find the disease, we start with the disease. We first seek to understand the timing and severity of disease symptoms, the pathways that drive them, and how they change throughout the day. This is done by listening and learning from patients, care partners, and clinicians to paint a real-world picture and connecting temporal insights to the biology that underlies these patterns. We then deliberately map drug activity to disease patterns to create novel medicines with therapeutic profiles that match the pattern of disease. Our recent success with the approval and launch of Gocovri (amantadine-ER) is a direct result of our time-dependent biology approach. Gocovri is designed to be taken once daily at bedtime to deliver high concentrations of amantadine upon waking and throughout the day, so that the drug pharmacokinetic profile matches the temporal pattern of the disease. We are expanding our footprint in neuroscience. We have a long history of taking on difficult clinical challenges and developing treatments in areas where there have been none or where there is a high unmet medical need, which is something that drives us as a company and me personally. Many of these types of diseases exist in the field of neuroscience, where we have established broad and deep expertise across the organization to facilitate discovery and development of new therapeutics. Moreover, our ability to not only develop drugs but also advanced diagnostic platforms uniquely positions Roche and Genentech to potentially transform drug development and, aspirationally, clinical care for people living with neurologic diseases. One key element of our approach is to stay focused on following scientific insights to develop transformational medicines. We always aim to achieve either first-in-class medicines or ideally also best-in-class, meaning that they deliver not just incremental benefit for patients, but truly meaningful value. Ocrevus for treating persons with MS in a great example, in that it represents Genentech’s commitment to people with neurologic diseases and is a testament to our strong heritage of transforming scientific insights into breakthrough medicines. We intend to take this passion and expertise into other areas of neuroscience with the greatest unmet needs, whether they affect millions or thousands of people. Everything we do at UCB starts with a simple question about what patients value, “How can we create value for people living with severe diseases?” Rather than commencing research from a scientific point of view, the UCB patient value strategy starts with the patient perspective, which informs our scientific approach and ultimately the solutions developed for patients. For example, before diving into research for neurologic diseases, we first pursue a deep understanding of patient subpopulations to develop an original scientific hypothesis. We then aim to translate scientific hypotheses into solutions for patients, while engaging them in the journey. Once we’ve identified a solution, we strive for a unique patient experience that extends beyond the pill to give patients the highest possible benefit. To provide a unique experience, we supplement our patient solutions with programs and partnerships. UCB Cares, comprised of a hands-on team of experienced healthcare providers and customer service professionals, helps patients get answers to questions about neurologic diseases and our products as well as receive information on financial assistance available. With patients at the heart of everything we do, we’re always thinking about how we can deliver unique outcomes and the best patient experience to as many people as possible within specific populations where UCB can lead. We focus on addressing high unmet needs, including vulnerable populations, women of child-bearing age, children, and older adults. Recently, the FDA approved the adjunctive use of Briviact (brivaracetam) as a treatment for patients age 4 and up with partial-onset seizures. Epilepsy is the most common serious neurologic disorder among children and young adults, yet approximately 10% to 20% percent of pediatric patients with epilepsy experience inadequate seizure control with the currently available antiepileptic drugs. We have a footprint in cannabinoid science that extends over two decades. Cannabinoids are an under-appreciated area of science. We have been singularly focused on studying them from the ground up and how they interact with different systems of the body. Through preclinical research and clinical trials, we have had an enduring commitment to exploring a range of novel cannabinoid molecules across distinct therapeutic areas including spasticity and pain in MS, epilepsy, autism, schizophrenia, and cancer, principally glioblastoma. What is unique about our approach is that our research starts in a much different place than other pharmaceutical companies. Our aim is to understand the role these compounds have in neuropsychiatric conditions, based on empirical observations, as opposed to designing a compound for a specific molecular target. The cannabinoids that we study have a history of human medicinal use and identified therapeutic potential. What we’re doing is bringing the discovery and development of select pharmaceutical-grade cannabinoid medicines to the modern era through rigorous science and modern pharmaceutical development. We like to be science driven but aggressive. We call it the Eisai way in that we may not do things the way everyone else does. I like to be a contrarian and it has stood me in good stead for over 30 years. People get group think on how to do things, for example in the late 80s, epilepsy drugs were developed by adding one thing onto another drug. Then Gordan Pledger and I started thinking about new trial designs, a number of which have since become standard. I like to look at what we can do differently, sort of living by quote often attributed to Albert Einstein, “Insanity is doing the same thing over and over again and expecting different results.” Thinking about different types of trials in different populations, for example, those with specific biomarkers. All of that is what I think of as contrarian and I think the industry has been moving in that direction, where instead of creating drugs that treat patients the same way, we are creating new and different options, driving the science and ultimately pushing for better outcomes for patients and their families. I like to use a mousetrap analogy to help explain what I mean: we are not just creating better mousetraps, but also ways to catch the mice before they get into the house or keep them out of the house altogether—and using a combination of all of these methods to create a combination therapy. From a technology standpoint, the team of scientists at SK life science approach drug development in a manner consistent with other world-class clinical development organizations. However, we differentiate ourselves through our unwavering commitment to developing CNS therapies that have the potential to truly change the lives of people suffering from CNS disorders such as epilepsy. The SK life science culture mandates excellence, and we have been modeling this behavior for more than 2 decades. We are a group of scientists, inventors, and explorers working to unlock the complex mysteries of the brain, with the goal of creating novel, small-molecule compounds. Because of this, we view SK life science as unique, but critically important to fulfilling the needs of people with CNS disorders. Our approach is always driven by patients’ unmet needs, working to redefine the future of CNS therapies with products that we hope will truly make a difference in the lives of patients. SK life science is committed to proceeding methodically and vigorously, applying principles of scientific investigation and following FDA-mandated approaches to discover and develop innovative new therapies that advance care for neurologic conditions. We learn from our successes and our setbacks and leverage those learnings to further advance our clinical programs, exemplifying our commitment to the CNS community. Our process for identifying new therapeutic areas and pathways to target is to look for the intersection of the following components: (1) a strong temporal pattern to the disease, (2) a connection between the temporal pattern and underlying pathways, (3) the ability to modify the profile of a drug or class of drugs to match the underlying biological pattern and/or substantially improve the tolerability of the drug, and (4) a strong economic rationale. This approach has proven successful for Adamas, having brought 2 products to approval for persons with AD (Namzaric [memantine hydrochloride extended-release and donepezil hydrochloride] commercialized by Allergan) and Gocovri for persons with PD, with additional development candidates in advanced clinical studies for those with MS (ADS-5102) and those with epilepsy (ADS-4101). What Are the Greatest Barriers to Developing Breakthrough Treatments? Developing medicines for people with neurologic disorders isn’t easy. One of the greatest barriers lies in the fact that the nervous system is incredibly complex and there is so much we don’t yet know. Our ability to diagnose early and accurately is still very limited, and the way we measure disease burden with our current endpoints, or track disease progression, is very inaccurate. We’re still using predigital, poorly quantitative tools that have large signal-to-noise ratios, and therefore our trials still need to be very large or of long duration to compensate for those deficiencies. Finally, we don’t understand prognosis well, such as why some a disease in some patients progress faster than in other patients, and therefore, how to target the right therapies to the right patients. Our scientists work every day to lead the effort to advance the frontiers of neuroscience, but we know that no single group in this space can do it alone. We need input from people working in genetics, biomarkers, digital tools, and more to help overcome these challenges. That’s why Genentech and Roche are collaborating with a wide range of partners as we continue our efforts in neuroscience. And, of course, we need to keep working with the regulators globally to create new paths for development and approval of these new medicines. The biggest issue is identifying biomarkers that allow us to select the right patient for a particular therapy or to see that something that correlates with clinical outcomes. As an example, we recently presented some abstracts at the Alzheimer’s Association International Conferene (AAIC) in July 2018 that correlate Aβ-positron emission tomography (Aβ-PET)-markers with measures of cognition. The thinking has been that once you have AD, Aβ-PET load doesn’t correlate with cognitive deficit, and the theory was that once you get to that late stage, the cascade doesn’t matter as much. So, we looked for a stage where the amount of Aβ would correlate and found that earlier in the disease there is a correlation. 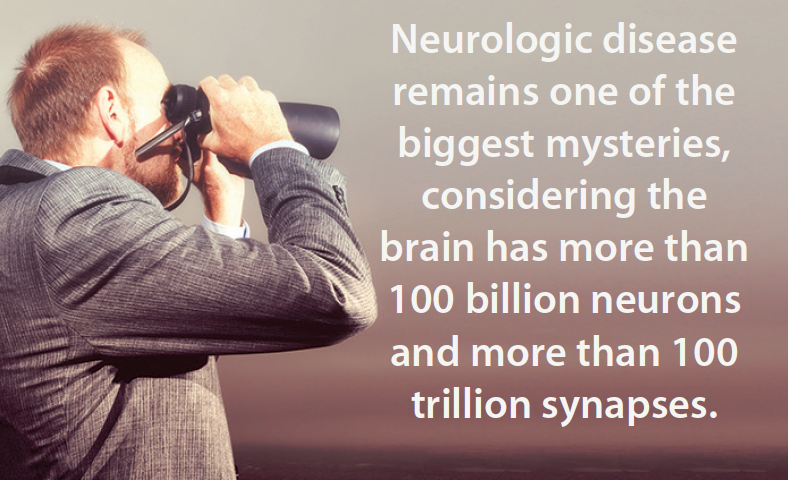 Neurologic disease remains one of the biggest mysteries, considering the brain has more than 100 billion neurons and more than 100 trillion synapses. When compared to other disease categories, it is one of the most difficult for which to find safe and effective treatments. In some cases, this has resulted in decreased R&D investments in the space. Our goal with new therapy development is to advance treatments that optimize efficacy and minimize side-effects, particularly in areas of highest unmet need. For example, physician surveys have shown that effective therapies for treatment-refractory epilepsy are thought to be the greatest unmet need in epilepsy—something SK life science seeks to solve. Diseases of the CNS have multiple levels of complexity that include specific biologic, molecular, and processes in each of the major categories of neurologic conditions. Clinically, most treatments for CNS diseases prove to have modest effect sizes, and the outcome measures often rely on subjective clinical assessments or patient and physician reported outcomes. 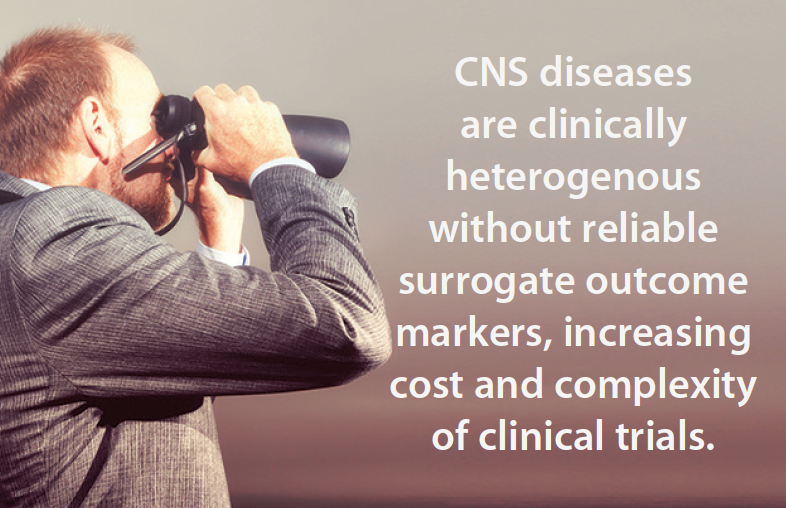 Most CNS diseases are clinically heterogenous and do not have reliable surrogate markers for outcomes which greatly increases the cost and complexity of clinical trials. From our perspective, our journey sheds light on some of the specific obstacles we faced in bringing cannabinoids into the realm of modern medicines. While knowledge of cannabinoids is growing, there continues to be a lack of understanding and even stigma associated with cannabis-based medicines. In advancing Epidiolex through the approval process, we have worked diligently to educate the public on the differences between the purified pharmaceutical formulation of CBD and other CBD products that are available in the public marketplace. For non-FDA approved products, CBD is extracted in oil form from specific varieties of cannabis known as hemp. These federally unregulated products are not the same as the highly purified pharmaceutical formulation of CBD that we have developed with Epidiolex. FDA approval of Epidiolex also helps overcome legal hurdles that underlie the cannabinoid landscape in the US With an FDA-approved pharmaceutical CBD medicine, there would no longer be special licensing necessary for patients to participate in research. It would also be available in all 50 states, if the states reschedule it appropriately. It will be a prescription medicine that is treated like any other FDA-approved medication. The greatest challenge we face is the sheer velocity of technological innovation and data generation. The answer we want, the opportunity we should seize, the overlooked patient need can arise at any moment and disappear just as quickly into someone’s excel worksheet, patient record, or clinical trial report. 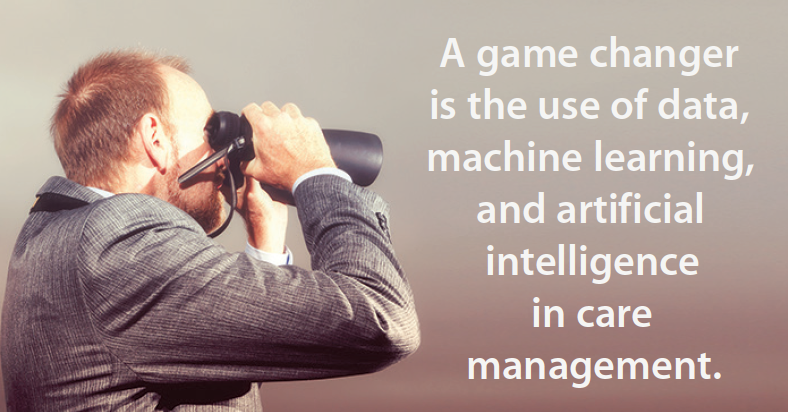 To battle this, we need to make sure we focus on the patient and have the right patient insights, right people versed in the right disciplines, and then put them in a position to notice that unique endpoint or overlooked observation, and have the network in place to bring the right people and technologies to bear. Given our time-dependent biology approach, the greatest barriers have been in devising novel regulatory approaches to gaining approval when it’s a new indication, a new pathway has to be established, or the FDA is moving away from a prior precedent. What Trends Will Lead to Success? While biopharmaceutical companies like SK life science must always be aware of and meet FDA standards in R&D, understanding the nuances, concerns, and subtleties of what patients deal with daily is invaluable. More involvement with patients and patient associations will lead to greater successes in addressing the needs of a given patient population—particularly when it comes to the design and implementation of clinical trials, and reporting on changes in efficacy and safety. In an ideal world, treating neurologic diseases would be based on accurate and rapid diagnoses, be targeted as much as possible to each patient’s specific pathophysiology, and result in dramatically positive outcomes that include a cure or reversal of disease progression. This is our perspective as we work toward future advances in care. At UCB we’re focusing on two trends that we see as keys to the future of epilepsy care. The first is changing our proximity to the patient. As provider roles become more specialized and distributed in today’s new integrated care models, it’s critical that every participant in that care process contribute to the patient’s overall wellbeing. For us that starts by understanding the impact of an epilepsy diagnosis and the challenges it presents whether you’re in school, work, a nursing home, or a NICU. Through our collaborations with patients, patient advocates, and providers around the world, we’re continually finding new inflection points and translating them into new options for creating patient value and positively affecting patient’s long-term outcomes throughout the care continuum. Second, to be able to adapt and respond in meaningful ways, we have redesigned our patient and provider-facing processes in the US according to agile operational principles we’ve adapted from the tech world. Now instead of being organized around conventional roles and disciplines, we are organized by missions and teams dedicated to specific objectives. These can be major, long-term objectives like seizure freedom or more focused, short-term goals such as access to our therapies. In either case, the key operational principle is termed talent moves to work so that the right people bring their various talents together, address a challenge, and then move on. Things that once took months and years are now done in periods of weeks, because sitting on an issue or pushing problems down the road are no longer options. Now, instead of constantly playing catch-up, we can respond to challenges or opportunities we encounter in real time when it really matters, and then apply those learnings, adapt, and move on to the next challenge. Regardless of whether we’re helping a single patient or physician, working with a major integrated delivery network across several states, or evaluating how to reduce overall costs for federal healthcare programs – the rules are the same. While we can’t predict what success will look like 3, 5, or 10 years down the road, we feel very confident that by following these principles—staying close to the patient and embracing agility—we will be prepared to create patient value and provide the leadership required to be successful. Openness to change, innovation and collaboration will be key ingredients for success. The classic pharmaceutical research and development model is changing before our eyes. Many different sources of innovation in science and technology become evident almost weekly, and we need to be able to tap into them. This also includes nontraditional sources and partners, for example, tech companies that are entering into health care research, and will continue to be an increasing role for patients in research. We must continue to embrace new clinical tools that can complement traditional tests used for clinical research and decision making. For example, we believe there is a significant opportunity to leverage digital monitoring and smartphone technology in clinical trials as a novel endpoint and to generate data to support decision making by healthcare professionals. And we need to work with health authorities, the regulators and insurers to accept these new technologies as well, since they will be key partners in ensuring approval and access of patients to new medicines. We are encouraged to see so many in the space collaborating on scientific initiatives. Roche and Genentech have a broad interest in scientific collaborations with several stakeholders, from basic researchers who are addressing fundamental questions about how the brain works to physicians, patients, caregivers, patient advocacy groups, and other healthcare companies who make clinical trials possible. We are already seeing a greater focus on patient-focused solutions in our industry, and neurology is no exception. But we have to focus on the patient at all times—in the beginning, the middle, and the end. In CNS disorders, we are working on problems that are very expensive for society as patients with these disorders and their care partners live with impairments over long periods of time. The economic impact in terms of direct and indirect costs and lost human utility are substantial, hence products that lower the impact stand a good chance of reducing overall costs of these diseases. This is becoming increasingly important to our industry. What Role Does Being Patient-Centered Play in Developing Breakthroughs? Patients are at the center of all our thinking when it comes to scientific research. Our company has a proud heritage in listening to the voice of patients. We see our research as largely a response to patient needs and the desire to understand how cannabinoids can represent new therapies for them. We do this through a highly collaborative process with the medical community and patients. It is exemplified by the way in which we work with clinical trial sites. We think it gets us closer to the medical and patient communities by placing us on the front lines of research. The recent FDA approval of Epidiolex embodies our focus on listening to patients, caregivers, and physicians to help guide our research programs. This approval is the culmination of our many years of partnership and high-touch interactions with the epilepsy community to develop a much needed novel medicine. It is a journey that included an expanded-access program that provided more than 1,100 children and adults suffering with the most difficult-to-treat forms of epilepsy with access to Epidiolex, and a clinical-development program that included 3 randomized, placebo-controlled phase 3 clinical trials and an open-label extension study. As we work to develop bold new medicines our commitment to improving patients’ lives will continue to guide everything we do. At Eisai, human health care (hhc) is our goal, and we give our first thoughts to patients and their families and helping to increase the benefits health care provides. We actually have an hhc policy that recommends that every employee spend 1% of their working hours with patients. This has a bigger impact than one might imagine. For example, in Japan, a laboratory researcher heard about patients have difficulty swallowing their medicines that resulted in a whole new formulation called dry syrup that has been a very popular solution because it really made it easier for patients to take their medicines. As a company committed to working tirelessly in search of solutions for the patient population with CNS disorders, we understand the importance of connecting with patient and industry associations such as the National Epilepsy Foundation and its local chapters. Here, we see opportunities to join forces and build upon our understanding of patient and caregiver unmet needs and how to better address them. The more we can accommodate their needs while also satisfying FDA requirements, the faster we can bring new drugs to the market with the potential of making a true impact. Patients have always been central to us and we continue supporting new initiatives and ideas that enable us to help physicians and patients make more informed treatment decisions based on individualized data. We recently launched a new global study called Floodlight Open that will use the Floodlight app developed by Genentech and Roche to gain a better understanding of the feasibility of assessing patients’ MS disease activity and disability progression in a large-scale, real-world setting. People with MS have the opportunity to participate in important research that may reveal new insights about how MS progresses. They can also share personal data with their neurologist and care team to have more informed conversations during their annual or biannual check-ups. Additionally, we have made great progress in incorporating patient insights into our trial protocols through settings such as advisory boards or workshops where we share our science and ask for the insights of patients and members of advocacy into what would be meaningful for the field. For AD and ASD, the insights we’ve gained from patients has been critical for us to make progress in understanding medical needs. And furthermore, in our work in rare diseases, we have collaborated with several patient advocacy groups from the beginning. In the future, we envision working even more with patients in our research efforts—so that we are we are developing medicines with them, not just for them. As mentioned, UCB keeps patients at the heart of everything we do. Patients are not just the recipients of solutions; they are also the people who provide us feedback and insights that fuel our work. Our work for patients is a cycle where we hear from them to explore the science, to find solutions, to deliver back to patients. Our work in PD, MS, and epilepsy depends on endpoints that are patient-reported outcomes or easily adapted to patient-measured outcomes. The opportunities for technology advances in telemedicine and wearables are tremendous. We are looking to help catalyze this in our future work. What Do You Want Practicing Clinicians to Know About Developing New Treatments? Research and development are hard, and it can take years for an idea to finally reach patients. But we’re committed to finding ways to get the right solution, to the right patient faster. We consistently invest more than 20% of our annual revenue back into research and development, to deliver breakthrough medicines with compelling value propositions for patients with debilitating diseases. As part of our commitment to helping patients live their best lives, we are going beyond the pill to invest in technologies designed to improve overall patient care—from diagnosis to living a better life with epilepsy. Within the neurology space, UCB is partnering on eliprio, a program that harnesses predictive analytics which leverage machine and deep learning to personalize epilepsy care. We can’t do it alone. We’re committed to engaging with stakeholders and policymakers to address the misaligned incentives in our healthcare system and will provide financial assistance, as appropriate, for patients who cannot access or afford their medications. We need to work together to find the right pieces and fit them together in a way that makes sense clinically, economically, and in terms of patient outcomes and quality of life. We all get out of bed in the morning looking to do something good in this world, and we all bring different pieces to that puzzle. Let’s get back to all working on the same team so that we can all create something together that none of us can create on his or her own. While pharmaceutical research seems at times esoteric to practicing physicians perhaps not routinely involved in pharmaceutical clinical trials, the principles that guide clinical practice are also applied by our scientists and clinical researchers. The drug development process is highly-regulated, requiring substantial amounts of clinical and nonclinical research and documentation before a new drug can enter the neurologic armamentarium. In our field of novel cannabinoid therapeutics, our focus on scientific rigor provides the foundation that the medical community desires. Physicians believe in the scientific process. The well-controlled, randomized clinical studies that underlie the approval of Epidiolex show that pursuing proper clinical trials that carefully evaluate active ingredients contained in the cannabis plant can lead to important therapeutic breakthroughs. We have made resources available to healthcare professionals, patients, and caregivers, who are interested in cannabinoid clinical science and development on a website called Cannabinoid Clinical that offers a wealth of valuable information. Putting myself in the patient’s shoes or the shoes of the caregiver, if I was coping with a bad disease—any disease, in any area—would I look for a physician with no new ideas? Or do I want one who is thinking about things in new and different ways? Of course I want a physician who is thinking of the future and how they can help me or my family now. I want clinicians to think about innovation and what we haven’t done in the past that we might be able to do now—and I continue to challenge myself as one of those clinicians. Innovation may be the most overused buzzword of the decade, but it’s incredibly important. Innovation that will improve the health and well-being of patients and lessen the burden of disease on society as a whole is what drives us and unites us as an industry. For some companies, innovation is marked by choosing unique clinical-trial endpoints that are meaningful to patients or developing a new chemical entity. For other companies, like Adamas, innovation is rooted in a novel approach to drug discovery, such as our time-dependent biology approach to discovering and developing medicines that are well-timed to ease the burden of disease. Big and small, innovation is progress—and progress is good. Whether you are a center that conducts clinical trials, or a busy community clinic, the efforts of all pharmaceutical and device companies investigating new treatments depend on connecting patients to the physicians who conduct our clinical studies. Stay connected, and you can make a huge difference. From a business perspective, our work in research and development is a high-risk undertaking. Bringing safe and effective new medicines to patients is complex regardless of what country we operate in. The US has its own unique requirements for drug approvals, particularly in CNS diseases where drug development is limited, and regulatory standards are high. SK life science is focused on researching, developing and commercializing therapies for patients with CNS disorders, no matter the cost. Each small breakthrough we achieve for patients who suffer from a CNS disease make the many challenges of the neurology space worth it. Collaboration is key, and regardless of where they are based or affiliated, there are many ways to get involved in neuroscience research. And we need your help. For clinicians treating patients with MS, one way to get involved is through our new Floodlight Open clinical trial. This is an open access study, which means anyone can join and the anonymous data collected through the study will be freely available, including to doctors and scientists, to help accelerate research and collaboration. More information can be found at http://www.FloodlightOpen.com. Additionally, there are many other ways to collaborate, either by getting involved in patient advocacy and support for rare disease research, help identify opportunities for patients to participate in clinical trials or other research. What Else Would You Like to Share With Readers of Practical Neurology? Those of us in the pharmaceutical industry are just as interested in developing things to help patients and their families as clinicians are, and us industry folk are not all that differently motivated than clinicians—at the end of that day, we all want better treatments that improve the lives of patients and their families. This is an exciting time in neuroscience research, especially for the development of new medicines. Although the challenges are great, the opportunities are even greater, with the developments being made in science and technology. We need to be optimistic and persevere, because patients are waiting. I think everyone who works in this field shares the same passion and commitment, which comes from understanding that we’re trying to address some of our biggest medical needs, and that diseases of the nervous system affect something fundamentally important. That our work goes towards protecting those things that make us who we are: our ability to connect with others, create our dreams, live more fully. That is what drives us every day. At SK life science, we believe our experience and development expertise gives us the unique opportunity to succeed and provide new options for patients, including our investigational compound, cenobamate, as a potential treatment of epilepsy. While our heritage to date is firmly rooted in drug development, SK life science is extremely excited to be building a world-class commercial organization right here in the U.S. as we speak. Through everything we do, we are working to redefine the future of CNS therapies with products that we hope will truly make a difference in the lives of patients. In 2000 the human genome project offered excited perspectives for a therapeutic paradigm shift, especially for neurologic and psychiatric conditions. The advent of the first plant-derived cannabinoid medicine in the U.S. is equally exciting to us. We see this as a watershed moment in the pharmaceutical industry, and for our company, as we continue to unlock the potential of cannabinoid medicines. I am proud to lead the dedicated team of professionals who champion our enduring commitment to advancing cannabinoid science in the public good. Working together in this truly pioneering effort, we believe we can fulfill our mission to be the global leader in prescription cannabinoid medicines, developing and providing pharmaceutical products which address clear unmet needs. We are always looking for new ideas and perspectives. We have an entire field leadership team, what we call ecosystem leads made up of healthcare veterans from a mix of backgrounds—medicine, regulatory, sales, managed care—dedicated to helping the different parts of the healthcare system work together to create what patients value. As patient care responsibilities become more specialized and distributed, they can work across disciplines, locations, and even organizations to provide integrated solutions tailored to the unique needs of your patients and care team. So, whether you’re a physician in an ICU or an MBA in operations, I encourage you to reach out with your challenges, questions, requests, and even the crazy what-if questions. You never know where the next breakthrough may come from.